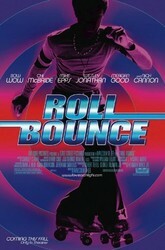 Synopsis: A coming-of-age comedy which centers on a time when roller skating was a way of life. X (Bow Wow) and his pals rule supreme at their local roller-skating rink, but when the doors close, the boys venture into foreign territory -- uptown's Sweetwater Roller Rink, complete with over-the-top skaters and beautiful girls. Through his preparation for the showdown of the season, X manages to find himself and also help his dad (McBride) get back on track.